I unapologetically posit a rebooted, federal UK as a constitutional Middle Way… It is a pragmatic recognition that neither Unionist nor Nationalist enjoys a monopoly of wisdom, and indeed a federal UK offers the best chance of achieving an institutional rapprochement between those two often-hostile forces. 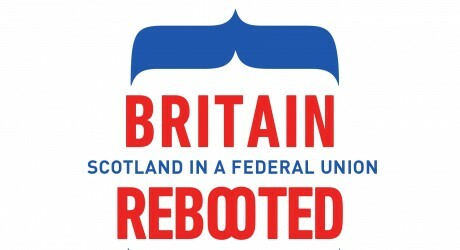 IN the run-up to the historic referendum on Scottish independence, there has been a plethora of tracts, articles, and books arguing for and against, but there remains a gap in the literature: the case for Scotland becoming part of a ‘rebooted’ federal Union. It is an old, usually Liberal dream, but one with renewed contemporary resonance. It is often assumed that federalism is somehow ’alien’ to the Scottish and British constitutional tradition but in this short book journalist David Torrance argues that not only has the UK already become a quasi-federal state but that formal federation is the best way of squaring the competing demands of Nationalists and Unionists. He also uses Scotland’s place within a federal UK to examine other potential reforms with a view to tackling ever-increasing inequality across the British Isles and creating a more equal, successful and constitutionally coherent country. DAVID TORRANCE is a writer, journalist and broadcaster, having reported for the Edinburgh Evening News, presented and produced The Week In Politics for Grampain and Scottish TV, and as appeared as Politics Now’s Scottish Parliament reporter. He spent a year and a half working as Parliamentary Aide to the Shadow Scottish Secretary David Mundell. David currently regularly appears on BBC Radio Scotland and BBC television, as well as supplying commentary to the Scotsman, The Times, and several websites. David has authored and edited several other books, including The Battle for Britain: Scotland and the Independence Referendum, Whatever Happened to Tory Scotland? and Salmond: Against the Odds. MEDIA RELEASE issued by Luath Press. You too can post your story ideas for journalists (aka press or media releases), on allmediascotland.com. Email info@allmediascotland.com for more information.